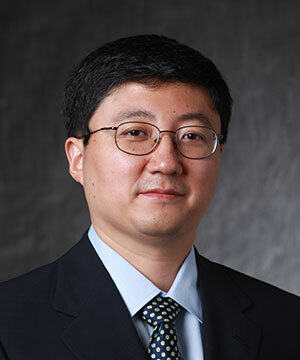 Tong Zhang is currently a Professor in the Electrical, Computer and Systems Engineering Department at Rensselaer Polytechnic Institute. He received the B.S. and M.S. degrees in electrical engineering from the Xian Jiaotong University, China, in 1995 and 1998, respectively. He received the Ph.D. degree in electrical engineering from the University of Minnesota, Minneapolis, in 2002. He joined the faculty of Rensselaer Polytechnic Institute as a tenure-track assistant professor in 2002, and became an associate professor and full professor in 2008 and 2013, respectively. His current research areas are computer systems with the focus on memory and data storage across software and hardware stacks. Being highly inter-disciplinary in nature, his research has been always driven by real-life applications, and his current and past research span over computer architecture, memory and data storage, VLSI signal processing, error correction coding, digital communication, and multimedia processing. He has served as an Associate Editor for the ACM Transactions on Storage, the IEEE Transactions on Circuits and Systems - II, and the IEEE Transactions on Signal Processing.